Many brides and grooms fancy themselves crafty individuals. They scour Pinterest with a fine-tooth comb, looking for inspiration to make their wedding day something truly special. 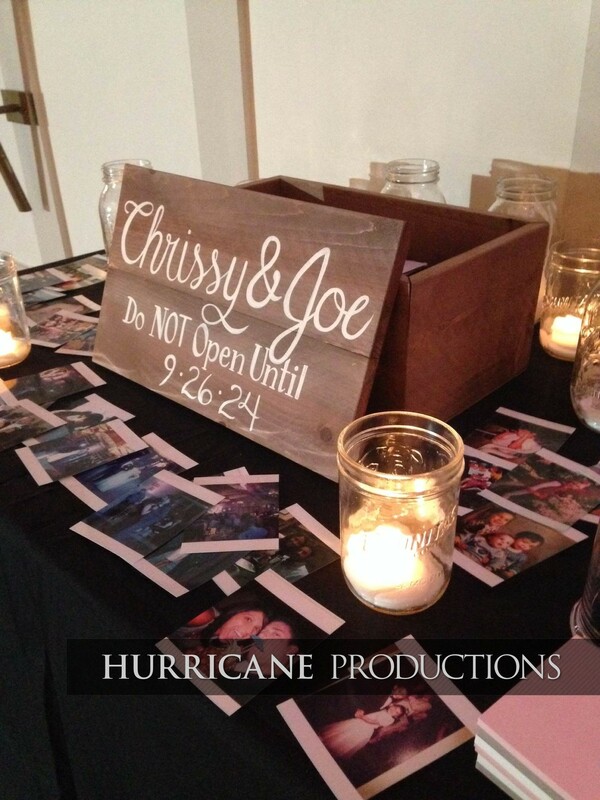 We believe bride Chrissy took her craftiness to the next level. 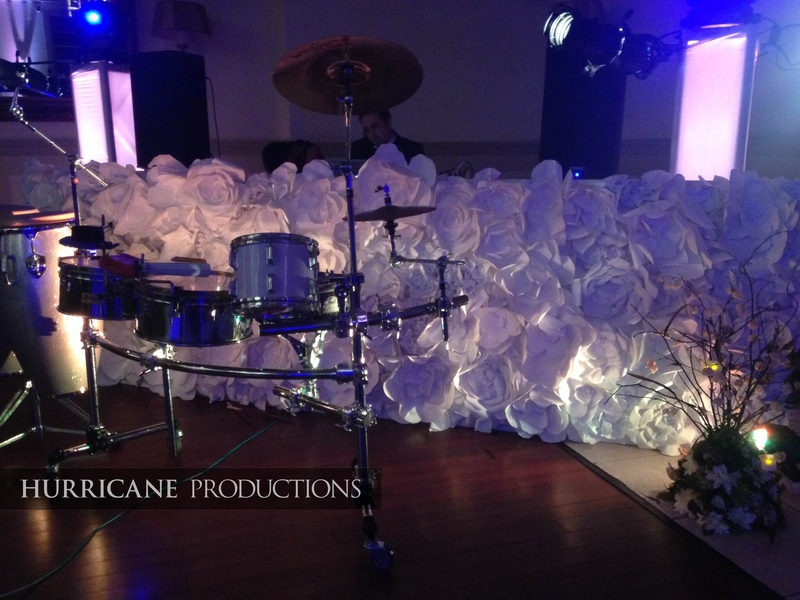 She designed FOUR of her own custom GOBOS, all decorations including centerpieces, a huge custom facade for the DJ, bouquets, and even her own gown. That's a serious undertaking considering Chrissy and husband Joe still had the whole rest of the wedding to plan. To tie all her design elements together, Chrissy and Joe needed the right venue. Enter the Stone House at Stirling Ridge in Warren, NJ. 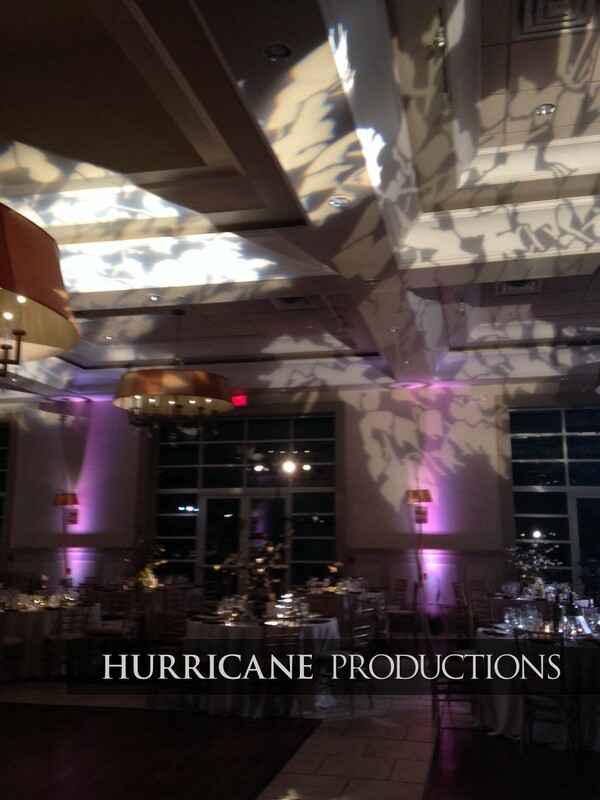 The Stone House's Grand Ballroom's rustic yet contemporary architecture was the perfect compliment to the wedding's fall floral theme, with more than enough space for the crafty bride and groom's friends and family to celebrate. 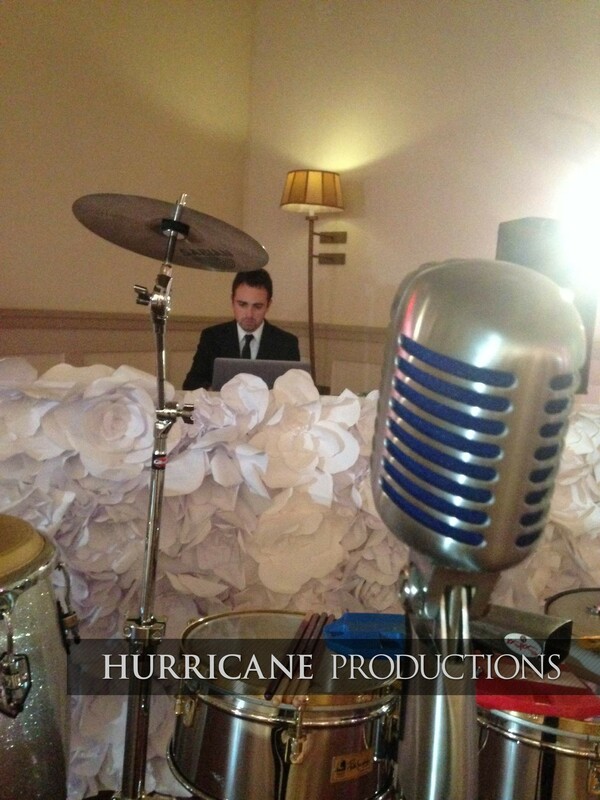 With the venue and design elements taken care of, Chrissy and Joe knew their entertainment was in the right hands with Hurricane Productions. 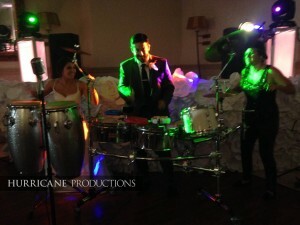 Co-founders Strato Doumanis and Vincent Velasquez took the reins as DJ and MC respectively, with Chrissy and Joe joining in on the fun with some live drumming action. In addition to entertainment, Hurricane provided dynamic twin-totem lighting, accentuating uplighting to bring out Chrissy's gorgeous self-designed GOBO fixtures, and Hurricane Pulse: an Instagram streaming feature that displays photos guests take using their special hashtag (#chrissyandjoe). 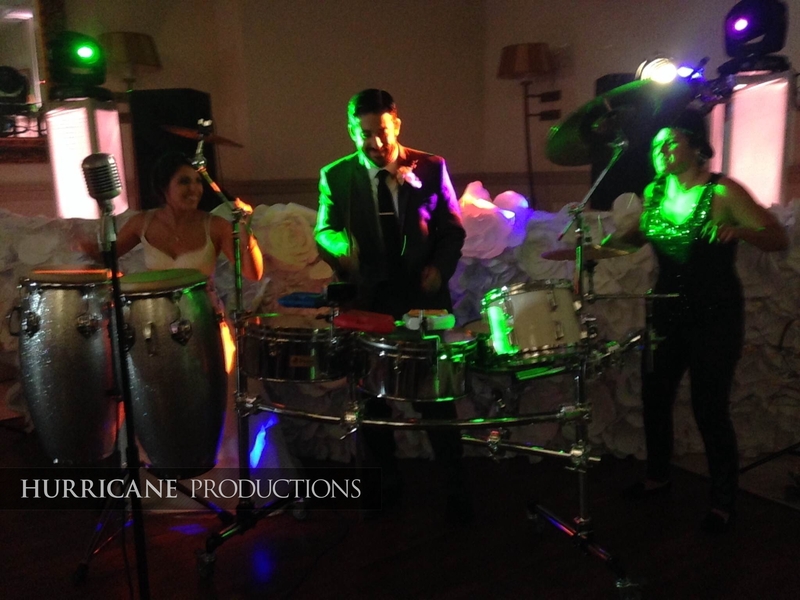 Chrissy and Joe took their wedding to the next level, creating an experience all their own. 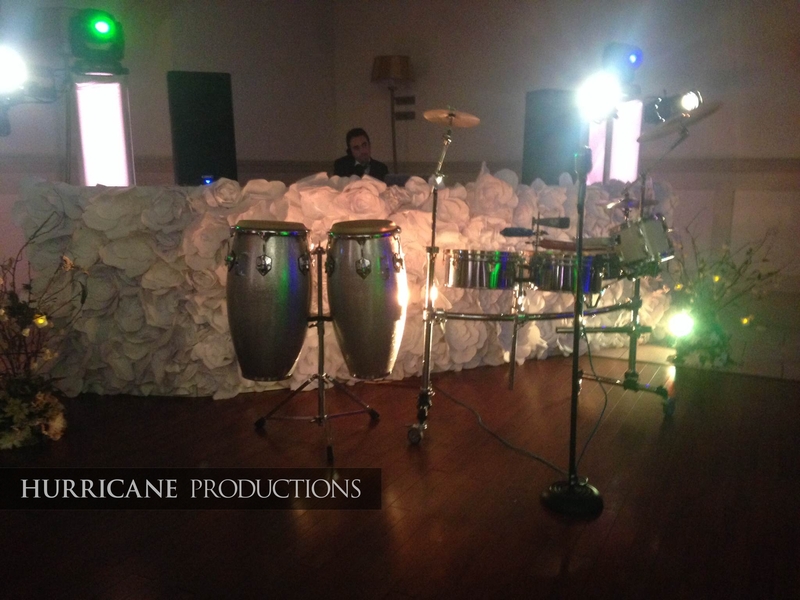 Hurricane Productions provides entertainment for Weddings and Sweet 16's in New Jersey and the Tri-State Area. To learn more, please fill out this short form or give us a call (888) 393-7066.